Thank you to A Sheep’s Life for nominating me for this award. Please see her blog by clicking on the link. It is one of the regular blogs that I read and enjoy. 6. 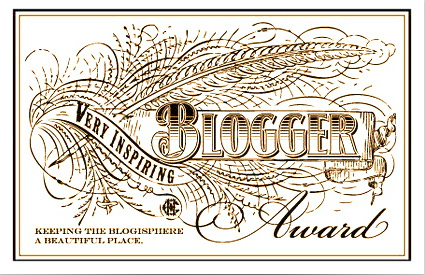 Post the award badge on your blog anywhere you like on your pages or posts. Random facts about myself that I have not posted for other award posts. This is tricky. Here goes..
1. My primary care physician suspects I have bipolar 2 and has given me a number to call to be evaluated. I do not think they will see me because I have no insurance. She says they will see me. I am afraid to call and find out I am right. So I have put it off for 2 weeks. 2, Someone closed their blog down today and I am very worried as to why, due to their recent posts. This is dominating my thoughts at the moment. 3. I think it is interesting that men write about their mental illness a bit differently than women do. They seem to have more trouble reaching out for help that is emotional. The posts can start emotional and then they turn onto analytical and problem solving and then they say something to make it sound like “it is not really that bad” This happens and then the readers really believe them that it is not that bad because they ended the post that way. 10. This is 10. I wrote a lot in those. I feel like I should apologize but I don’t know why. Women are always apologizing in situations where a man would not. Men do not apologize for just being themselves or for doing what they felt like doing that does not hurt anyone. Why do we apologize in situations where we did not do anything wrong? I tried to choose blogs that were newer and in some cases by younger people. I admire and want to support the teenagers and young adults that are struggling with issues and are using their blog to inspire other young people to reach out and to take care of themselves.